← International Indie Band of the Year! 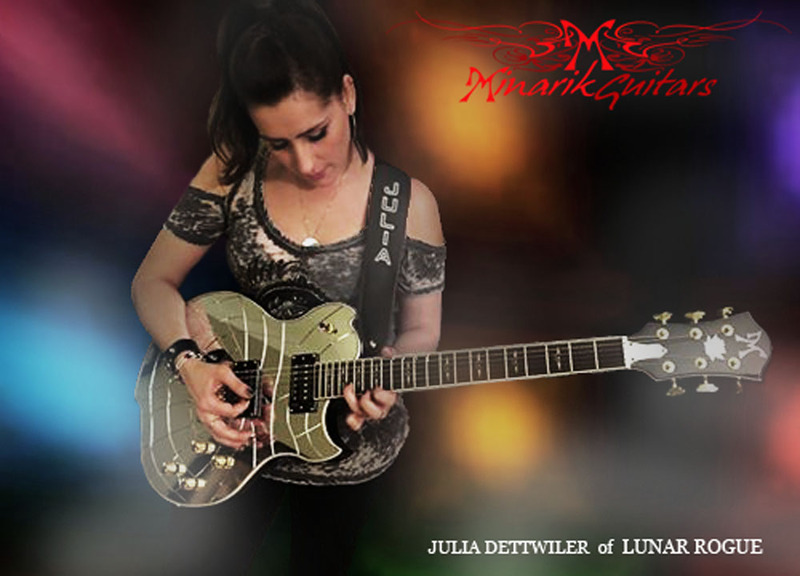 Lunar Rogue is now officially endorsed by Minarik Guitars! If you haven’t seen these guitars, you really must check them out! The craftsmanship, sound, design, and overall quality are quite impressive! Go check them out by clicking on the banner above! Julia is currently rocking the Minarik Lotus in a spiderweb design crafted from cut mirror.